For this week's MoeMonday... check out this wonderful sword maiden image I found skimming through my G+ feeds. 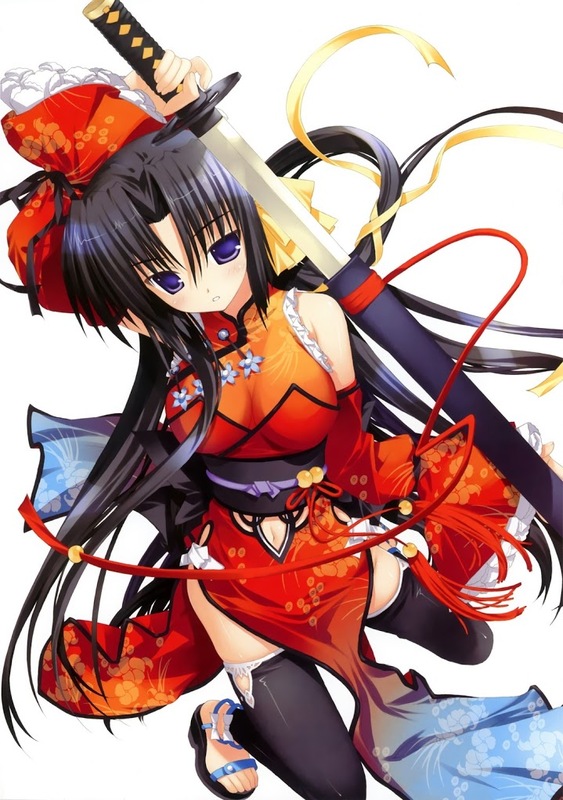 Not sure if this is an original image or from a girl in a series ^^;; but it caught my eyes with it's fiery red with blue color scheme and, one of my favorite artistic methods, the bold black stroke edges seen on her clothing. Know the artist or the character? post in the comments below.